Michael Jackson. He was an enigma. A legend. A never-ending reality show. Perhaps the greatest modern entertainer of our time. From 'I Want You Back' to 'Billie Jean' to 'Heal the World,' his songs are known around the world. And who can forget his jaw-dropping moonwalk or the easy grace with which he moves his body when he dances? Nobody can. In this book, J. Randy Taraborrelli chronicles in great detail the story of Michael Jackson's life and how he came to be the King of Pop. 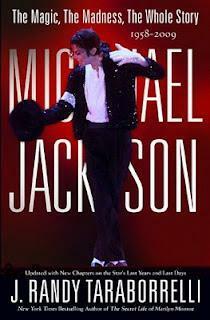 The book starts out with Michael's humble beginnings winning local talent shows in Gary, Indiana, and he and his brother's subsequent contract with Motown as the Jackson 5. From there Michael leaned to become an outstanding entertainer. However, there was so much inner turmoil in his family that there was no familial support or love for him to fall back on from the stress of show business. 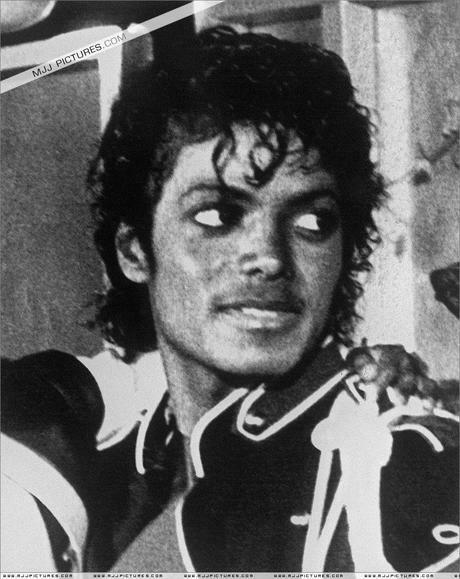 His father had a tendency to be abusive and Michael would later come to hate him. His brothers were miserable examples of morality and conscience, which left an irreparable impression on the youngest group member's mind. By the time he decided to break away - and there was much drama over this - he was ready to say goodbye to his crazy family and become a successful artist. Who could have predicted the success he would have had with Thriller? It's never been done before, and it certainly hasn't been done since. But, as the book progresses, Michael's star power becomes tarnished by massive personal issues: horrible self-image, countless plastic surgeries, egotistical behavior, bizarre goings-ons, and more. It would seem that when Michael rested on the top of the world, he believed that he could do anything he wanted. There was no boundary line drawn between what was right and what was wrong. With Michael it just WAS, and what was included anything he wanted. As his physical appearance transformed, so did his life. He became obsessed with surrounding himself with children, lamenting the loss of his own childhood, perhaps being unable to see that he was living a life that no one had ever lived before. Perhaps his mistake lay in clinging to hurts and struggles of the past rather than enjoying his incredible success in the present. When child molestation charges were leveled against him in the early 90s, he began turning to drugs to cope for the first time in his life. It took him a decade to recover from the stress that ordeal brought to him. He would eventually resolve the matter without going to court. Was he innocent? Was he guilty? The public has mixed opinions on it, especially since he did go to trial over more charges during the 2000s. Michael had the mentality of a child in that he assumed that what he wanted was always fine. But where do you draw the line between what is self-want and what is criminal? Michael could also act like a spoiled, wealthy child: avoiding problems, often firing wonderful people without reason by way of a letter or non-personal phone call, becoming incensed when he could not have "his" way. 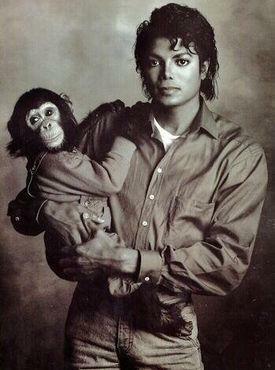 I'm certainly not going to make any judgment on Michael Jackson. He is my favorite pop artist. Seriously. I LOVE him! I adore 'Thriller' and I heart 'Bad.' In fact, when I was younger I had a huge crush on the Michael Jackson of the 1980s (Those aviators! Those sparkly jackets!) He was adorable and brilliant and who doesn't love a guy who can sing? It's so sad to see that he was so intensely unhappy at the end of his life...who knows how his story might have ended had he not made so many of the consequential choices that he did. Would he still be with us? Only God knows, but we can still enjoy his legacy and his gift of music today. One of my fave Michael Jackson performances. 'Rock With You,' from Off the Wall.